Find the best Girl's Troop t-shirt design ideas with our t-shirt design viewer below. 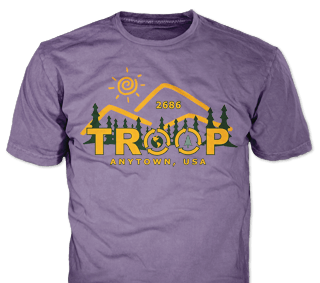 Click on any design below for a larger preview and an instant price quote, and customize any of these Troop Girls t-shirt design ideas for free. 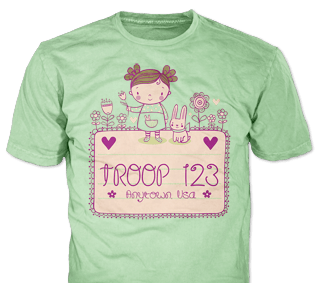 Our staff are experts in custom Troop Girls t-shirts, and will help you create a custom t-shirt design for your Troop Girls at no extra charge! Be sure to check out all the different t-shirt styles you can mix and match in your order. We are soooo sorry, we cannot print Girl Scout logos. As Scouters, we are passionate about Scouting and fully support the GSUSA in protecting thier intellectual property. We hope that one day we can get licensed to print their logos and marks.